If you want to want to go for the six-month plan, you will have to pay $38.25 in total. This option gives you a 29% discount, lowering the monthly pricing to $6.37. The yearly plan further reduces the per month costs to $4.25. This means, you only pay $51.00 for an annual subscription, leveraging a 53% discount. According to our ZenMate review, the VPN provider does indeed offer its services to free users. You can download the extension for your relevant browser and leverage good online privacy and security. However, this plan is limited in terms of locations, platforms, and speed. You will find better reliability with the paid versions. Got to ‘Get ZenMate Now tab on the homepage. Choose a payment plans that best suits your needs. Enter a valid email address for logging into your ZenMate account. Select a relevant payment method and enter your credentials. Upon completing the checkout process, you will receive a confirmation email. Check if all account details are correct. Enjoy using the ZenMate Premium! Click on “Try ZenMate Limited”. Wait for 10 seconds and click on “Get Limited”. The website’s navigation is good and everything users require need is accessible via the homepage. Simply click on the ‘Log In’ tab. You will be redirected to the below page. Enter the email and password of your ZenMate account and click on the ‘Log In’ option to gain access to the account dashboard. Click on the ‘forgot your password?’ option, if you cannot remember your credentials. Our review reveals that the account layout is actually quite impressive. You have plenty of useful options available. You can easily download the suitable VPN client for all platforms with a click of a button and logout just as simply. If you click on ‘Email’ tab, you have the capability of changing your email address. This is an incredibly useful feature, especially if you lost access to your email ID. By clicking on the ‘Password’ tab, you will gain the ability to change your password. If you click on the ‘Payment Details’ tab, you will receive info regarding the expiration date of the premium plan. Click on the ‘extend’ option to increase duration of subscription. The ‘Transactions’ tab gives you pricing information and the ‘Devices’ tab will provide you details regarding all connected smartphones, laptops, and computers. It shows the type of VPN, device/browser, registered date, and last seen data. Our ZenMate review unveils that the service supports quite a limited options for making payments. You can subscribe to the VPN using Visa, MasterCard, American Express, Maestro PayPal, Sofort Banking, and UnionPay. Recently, the provider has even added Qiwi Wallet to its supported payments list, which is a way to transfer money and receive payments/pay for 75,000 services around the world. Yes, ZenMate offers a money back guarantee based on proper criteria defined in its policies page. This is quite impressive, considering the service already offers a FREE version. Nevertheless, once the subscription fee is charged, you will have 14 days from the first paid billing cycle to cancel the subscription. Bitcoin, Ukash andPaysafeCard are exempt from receiving refunds. If you are unable to cancel within 14 days, you will not receive a refund. In cases of an approved invoice, your account will set back to the free plan. The money you receive will be from the same payment method you used initially. Our ZenMate review unveils that the provider even offers a plan for businesses. This offering grants business owners access to advanced security and privacy features to enjoy a completely anonymous experience. Through an easy-to-use user management dashboard, the business plans enable users to perform a variety of crucial tasks, which include performing anonymous online research (ideal for high profile firms and journalist who demand utmost level of privacy. The best part of all: ZenMate does not offer a fixed pricing for the Business Plan. Based on your organizational demands and number of accounts needed, ZenMate comes up with its own pricing. You have the opportunity of requesting a quote for figuring out the overall costs for your business plan. Each account you purchase will give you exclusive access to five simultaneous connections, which includes apps for Android/iOS, Windows and Mac OS clients, and browser extensions. The main premise of the ZenMate for Business is to offer the highest level of protection to company data and employees from any kind of viruses, malware, snooping, or hackers. The VPN accounts will offer employees advanced encryption when connecting to a public Wi-Fi. This ensures that any business/private data on their smartphones remains completely safe. By purchasing the ZenMate for Business plan, owners can allow their employees to access vital online content, such as social media, news, websites, and work resources that are otherwise inaccessible due to geographical restrictions. This solution is ideal for workers in risky industries like journalism and high profile firms that do not want to face issues while accessing crucial information online. One of the best things about signing up for the ZenMate Business plan is that users gain full access to their exclusive, high-traffic servers. Subsequently, you can feel assured to receive the highest possible speeds on all locations. This grants your employees and managers to enjoy uninterrupted VoIP calls with the utmost level of security, as ZenMate encrypts all vulnerable private calls from interceptions. For its affordable premium plans, our review identified that the provider offers 30+ servers across 30 countries. These include the United States, Switzerland, Ukraine, the United Kingdom, Russia, Singapore, Netherlands, Poland, Romania, Latvia, Luxembourg, Moldova, Israel, Italy, Japan, France, Germany, Hong Kong, Bulgaria, Canada, Finland, Australia, Austria, Belgium and 6 countries. Zenmate VPN offers a simple and forthright website. There aren’t many dark corners visible in concerns to privacy and security. In fact, the service takes your privacy very seriously. It uses the best and most advanced protocols and encryptions for preventing ISPs, governments, hackers, and snoopers from spying on your internet activity, credit information, downloads history, or anything else sent over the network. We also discovered that the software does not monitor any kind of logs, regardless of how much bandwidth data and speed you utilize. This keeps you safe and protected at all times, allowing you to access blocked sites! Since ZenMate supports a wide range of protocols available for connection, you can feel assured to browse the web securely on any public/private Wi-Fi connection. All protocols use top-grade encryption for keeping your torrenting and browsing traffic private. This means it will be impossible for governmental agencies and third-party providers to trace your identity. 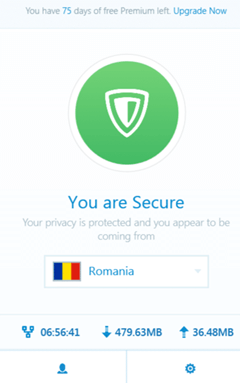 One of the best things about using a VPN is that you connect to any server of your choice located in a different country. The same goes true for ZenMate. If you need to unblock sites like Netflix USA, you can connect to the same location. Since VPNs mask your IP address, you can gain immediate access to content. You pass all geo-restrictions and browse the internet fully. The VPN provider offers rewards for disclosing security vulnerabilities for all its products and services. According to our ZenMate review, this is quite an interesting offering. Not only does it allow for the removal of distinctly creative or severe bugs, but it also generates great user interest. The rewards depend on the severity of the bugs. The service even states that it will give you credit for finding the bug. They will put your name on the Security Researcher Hall of Fame page. If they run into you at a security conference, they would even give you a high five and praise your awesomeness. This gives ZenMate quite the energetic and lively appeal, allowing it to attract many loyal customers. 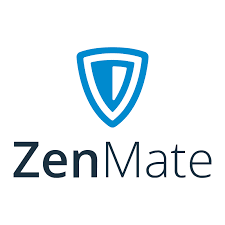 Our review unveils that if by any chance you do come across a vulnerability, you can report it atsecurity@zenmate.com where the Security Team will analyze all details, something we absolutely loved. This email ID is only for concerns related to bugs and vulnerabilities. If you have any issues relating to connectivity, incompatibility, or errors with the VPN, contact the support team. According to our ZenMate review, VPN provider offers solid support and encryption for the best protocols, which include OpenVPN, SSTP, IPSec, L2TP, and PPTP. Users have options concerning encryption levels. You can opt for either SHA-256 authentication or 128-bit AES-GCM ciphers. The VPN even uses RSA handshakes and TLS 1.2 (RFC 5245), guaranteeing remarkable security and privacy. During our ZenMate review, we poked around every corner of the website to find information regarding P2P/Torrentin but remained successful. This has led us to believe that officially the VPN provider does not allow P2P. However, at the same time, the VPN servers do not block it. This means, you can actually torrent. We would appreciate ZenMate talking about it in clear terms though! As a provider based in Berlin, Germany (a 14 Eyes Member) – our ZenMate review unwinds that the service is required to comply with a range of cyber laws that may directly interfere with user privacy. Even though it may not exactly state it, the service will log your IP address on their services, along with certain session information. Your email-address is stored and used for marketing. There is no information regarding retaining of cookies, page requested, bandwidth data, IP address, etc. Nonetheless, we still cannot exactly be sure, if the service follows through on its promise of offering complete anonymity. We believe that the VPN has to follow on the guidelines listed by the German government. In response to this, a representative from ZenMate contacted us to clear the air. Below is the response we received. In the end, it is up to users to determine whether they should trust the service or not. Our job is to provide our readers/viewers with complete transparency on the logging policy. During our ZenMate review, we discovered that the service offers a one-of-a-kind ‘Smart Locations’ feature. This helps users in browsing the internet, without having to switch to different locations for accessing varied regions and websites. Typically, it enables ZenMate to switch server locations automatically, based on the needs of the user. Can You Use ZenMate VPN with Kodi? When using the ZenMate premium desktop or mobile app, you can easily use Kodi. This applies to all platforms for which the Kodi VPN provider offer clients. Simply connect to a server of your choice and open the Kodi software to enjoy good privacy and anonymity, while unblocking geo-restricted websites. 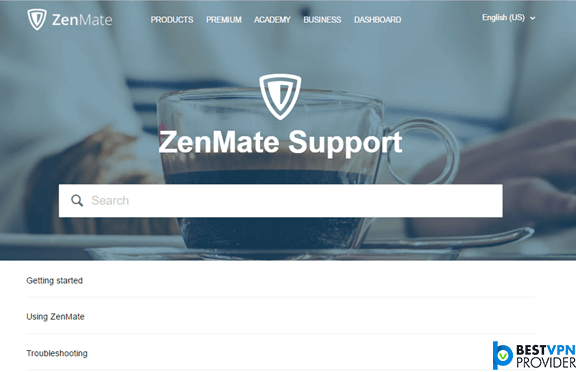 Our ZenMate review discovers that the VPN only offers email support. To help alleviate the pressure off the team, the service even offers setup and troubleshooting guides. If you visit these pages, you will soon realize that ZenMate does a superb job in answering questions. It uses a manner that clearly counters user-concerns with overwhelming details. By visiting the FAQ page, you can get all the information you want regarding troubleshooting tips, device apps, browser extensions, and account particulars. We would like seeing a live chat feature and a forum/community page for existing and potential customers to interact and engage. 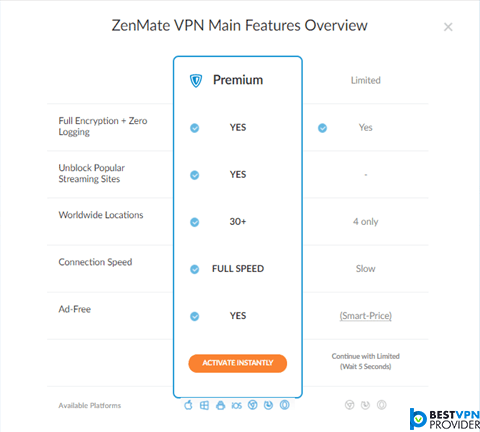 According to our ZenMate review, the VPN is compatible with all popular platforms. There are custom VPN clients for Mac and Windows users. You have custom browser extensions available (developed by the ZenMate team), which can be used on all popular internet browsers including Opera, Mozilla Firefox, and Google Chrome. There are mobile apps available for users of iOS and Android. Downloading ZenMate VPN software is quite easy. All you have to do is visit their homepage, go to download tab, and choose the client you want to download. You can even download iOS and Android apps from Google Play Store and Apple Play Store pleasingly. Our ZenMate review finds the Windows Client to be too simple and less effective. There is plenty of room for improvement. The lack of functionality and list of customization options reduce the appeal of the software. We would like seeing a more streamlined appearance too. Log in to your account and enjoy using ZenMate on Android! The process for setting up ZenMate is quite similar to the Android guide. For each platform, you need to download the relevant software client. This means, if you are using Mac, download the suitable OS version from here. Install the software. Enter your email and password to log in and begin using the VPN. If you are using an iOS/iPad device, just visit the Apple Store (iTunes) to download the ZenMate application. Wait for the installation process of the software to complete. Enter your login credentials. Connect to any server of your choice and enjoy an unblocked internet with seamless browsing, streaming, and downloading experience. 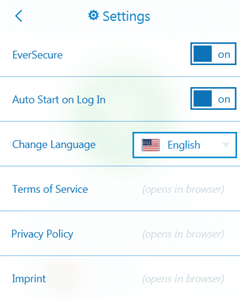 One of the best things about ZenMate is that it offers customers add-ons/extensions for their browsers to use the VPN service freely. After adding the browser add-on, the service will direct users to a page requiring sign up. Here you will have to enter an email ID and password. These browser add-ons/extensions utilize Smart Location. This means they will automatically connect to a server based on a user’s location. However, you can always change it anytime to one of the five locations available on the free plan. When it comes to installing ZenMate on your Mozilla Firefox browser, you have two options available. As a simple step, you could just add the extension to your browser from Mozilla’s add-ons page. You can also directly install the VPN add-on from the main website. Equipping ZenMate on your Opera browser is a simple task. You can go to the Opera add-ons page for successfully installing the extension. If you want to speed up the process, you can directly add the VPN to your browser from the website. Simply click on the “Add ZenMate to Opera” button. 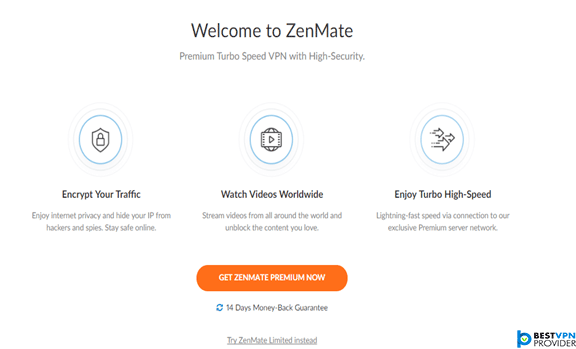 According to our ZenMate review, the VPN is among the very few providers that offer an extra incentive to its customers and marketers in the form of an Affiliate Program. 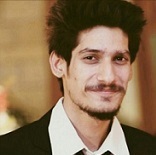 All you have to do is promote ZenMate by marketing their wide range of ads. You have ready-to-use content available with this program, along with optimization support and real-time tracking. By referring customers to ZenMate premium subscriptions and marketing their wide range of ads, users can earn high commissions. If your affiliate marketing efforts lead to a new monthly package sign up, you get a full 100% commission with 35% addition for recurring subscriptions. For the 6-monthly and yearly plans, you leverage a 40% commission for new signups and 30% for recurring subscriptions. Our ZenMate review unveils that the provider even offers a Wi-Fi router for customers to enjoy the utmost convenience of browsing the internet freely. The DrayTek Secure Wi-Fi router comes powered with ZenMate’s VPN to provide users with a private and secure internet experience by simply connecting to the Wi-Fi network. This option is perfect for owners of shops, cafes, and restaurants that want to promote a free internet browsing experience. How Many Devices Can Use ZenMate on Simultaneously? 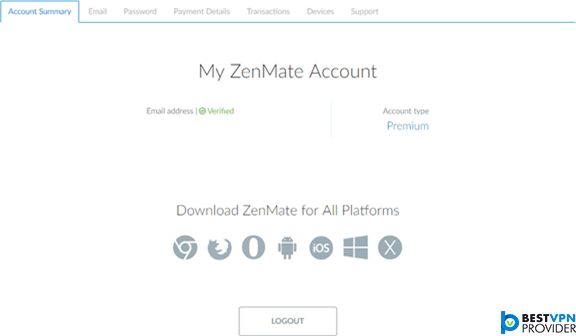 According to our ZenMate review, you can use a single subscription on at least five different personal devices or platforms at the same time. For the reasonably low price, this is quite an amazing trait. It works as a great selling point. You can easily manage your connected devices from your ZenMate dashboard. Click on the ‘devices’ section to see registered devices, type of VPN, and last seen data. Our ZenMate review establishes that although the Germanic-headquarters are alarming, the VPN provider still manages to deliver quite the impressive safety features, excellent compatibility, and decent customer support. The prices of using the service are also quite low, especially if you opt for the yearly plan. Overall, users looking for good reliability and security will definitely find ZenMate certainly fitting their style.